One of the various permutations of the Clad idea. The dumb box is delicately trimmed in solid wood and then wrapped in sheet metal. 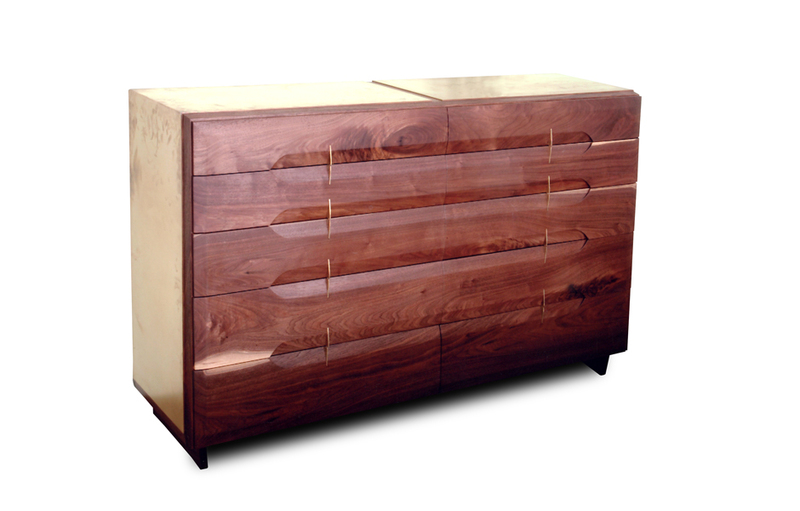 The rich solids are featured on the drawer fronts where they are in dialog with the slight metal handles. Shown in Black Walnut and Bronze.